FORT LAUDERDALE, FL, March 22, 2016	(Newswire.com) - ​The Multiple Sclerosis Foundation and Multiple Sclerosis Association of America are teaming up to promote MS Relapse Awareness Week, March 21 – 27, 2016, with support from Mallinckrodt Pharmaceuticals. The Foundation is hosting a national teleconference, Everything You Need to Know About MS Relapses, on March 22nd at 8:30 p.m. EST, presented by MS specialist Daniel Kantor, M.D. (To join the teleconference, participants call 888-550-5602 and enter code 23441168.) On March 24th, Dr. Kantor will deliver the presentation again at a live program in Fort Lauderdale, Fla, which will be filmed and made available on the Foundation’s YouTube channel at www.youtube.com/user/MSFstaff. "To maintain quality of life, it is important for those with MS to understand how to prepare for, manage, and recover from relapses." Popular MS blogger Matt Cavallo will relate his personal experience with relapses in a web-exclusive article on MSFocusMagazine.org, and others with MS will offer their insights and tips learned in previous relapses through the Foundation’s social media channels, using the hashtag #mymsrelapse. MSFocusRadio.org will feature a theme week including material related to relapses. MSF will also share information about the MSAA’s special Relapse Awareness online resource center for relapses, found at http://relapses.mymsaa.org. Interview opportunities are available. 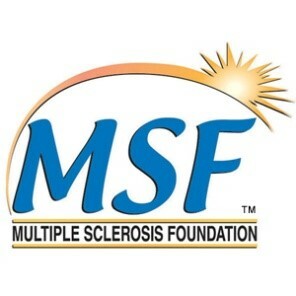 Learn more about the MSF or MS at www.msfocus.org. Tune into MSFocus Radio at www.msfocusradio.org or download the app for Android or iOS devices. Find MSF on Facebook at https://www.facebook.com/MultipleSclerosisFoundation/, Twitter at https://twitter.com/ms_focus/ and Instagram at www.instagram.com/msf_staff/.